Today, the future looks brighter than ever. 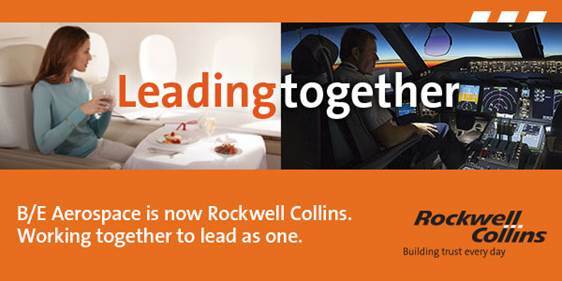 Now that B/E Aerospace is part of Rockwell Collins, together as one we will move forward with innovations to lead our industry forward, from cabin interiors to cockpit, communications to connectivity. Become part of our team to build a rewarding career as part of the most trusted source of aviation and high-integrity solutions in the world - and discover how high your career can soar. Qualified individuals with a disability have the right to request a reasonable accommodation. If you are unable or limited in your ability to use or access our careers website as a result of your disability, request a reasonable accommodation by: (1) sending an e-mail to Applicant Support (2) informing us regarding the nature of your request and (3) providing your contact information.